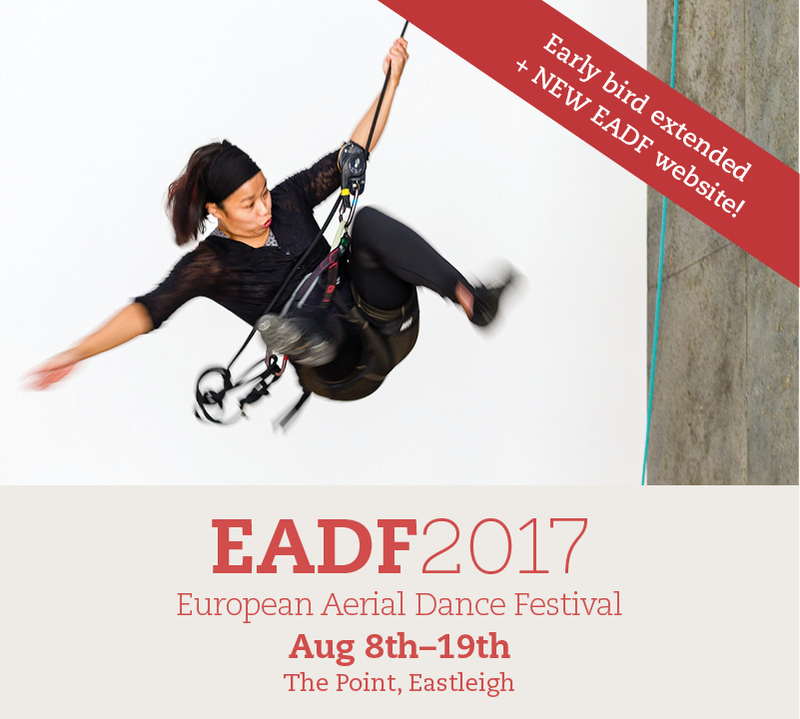 Here at European Aerial Dance Festival HQ we've decided to extend the early bird 2 week offer until July 14th but classes are going fast so get booking! This year we have act creation, refinement & performance labs plus the opportunity to show your work, and a 1 day Professional Aerial Clinic. Bookings can be made by emailing EADF@eastleigh.gov.uk, by phone and in person at The Point, Eastleigh.